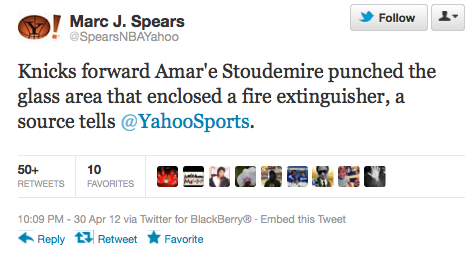 See, this is what happens when Jeremy Lin isn’t around to hold it together. What a freaking moron. Taking a page out of the Khalil Greene playbook. 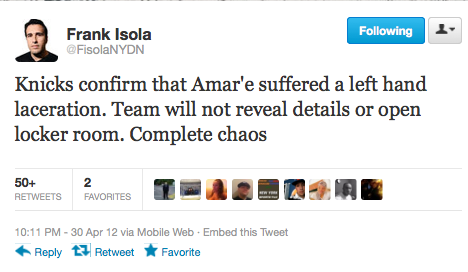 Knicks fans better hope he doesn’t follow suit… and retire because he’s sad. Insult to injury… the fire extinguisher has it’s own twitter page, already has more followers than me. I want to punch it. 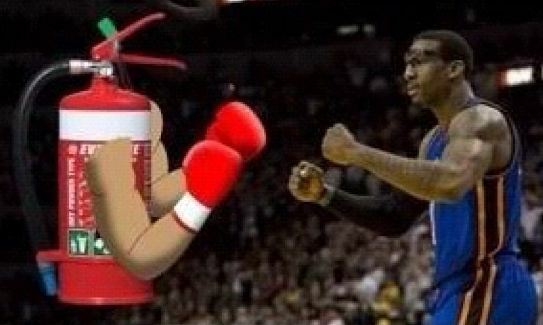 This entry was posted in Basketball, NBA and tagged amare fire extinguisher. Bookmark the permalink.